Description First issued in 1947 at 4d. 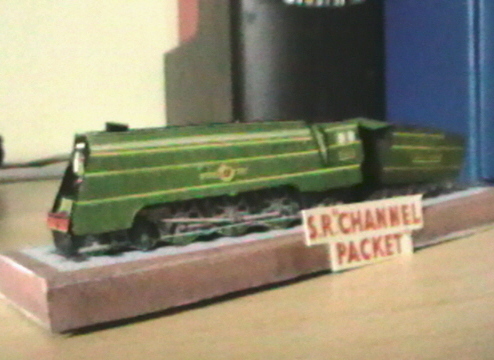 4-6-2 with 6 wheel tender. 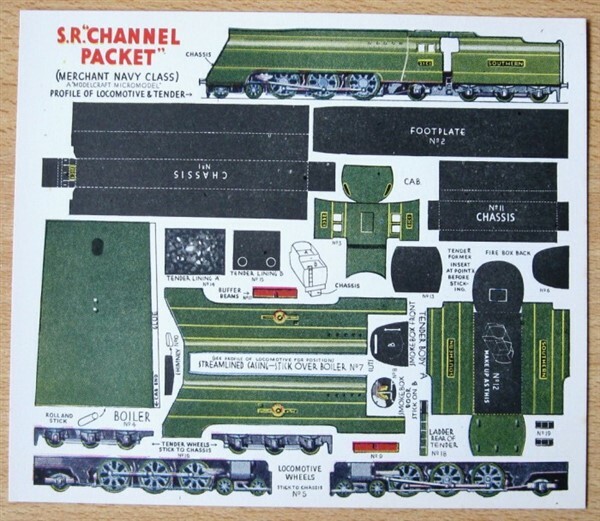 Southern Railway Merchant Navy Class loco used for hauling the “Golden Arrow” and other continental boat trains. 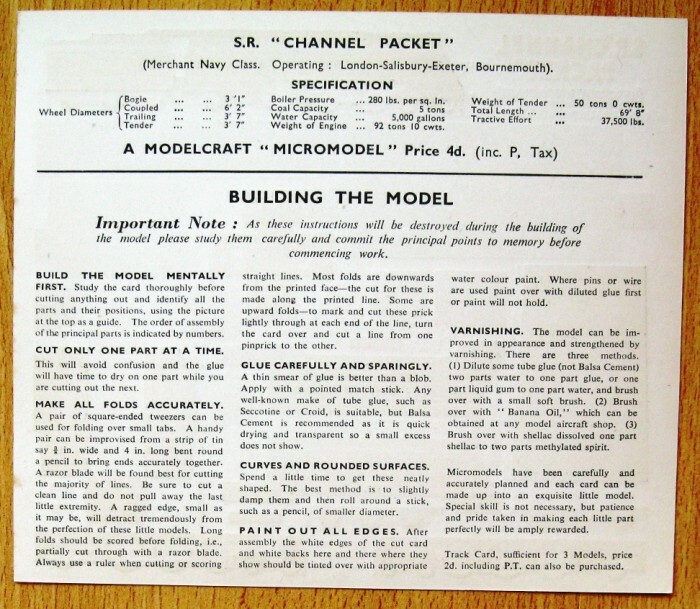 Replicraft also published the Channel Packet, a blue version.